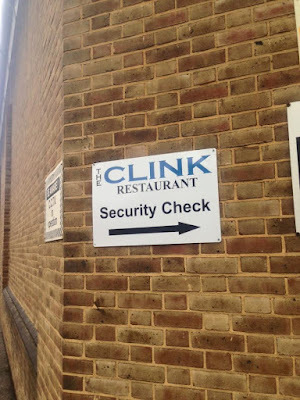 Miranda's Mumbles, Murmurs and Mutterings: Lunch in Prison ! 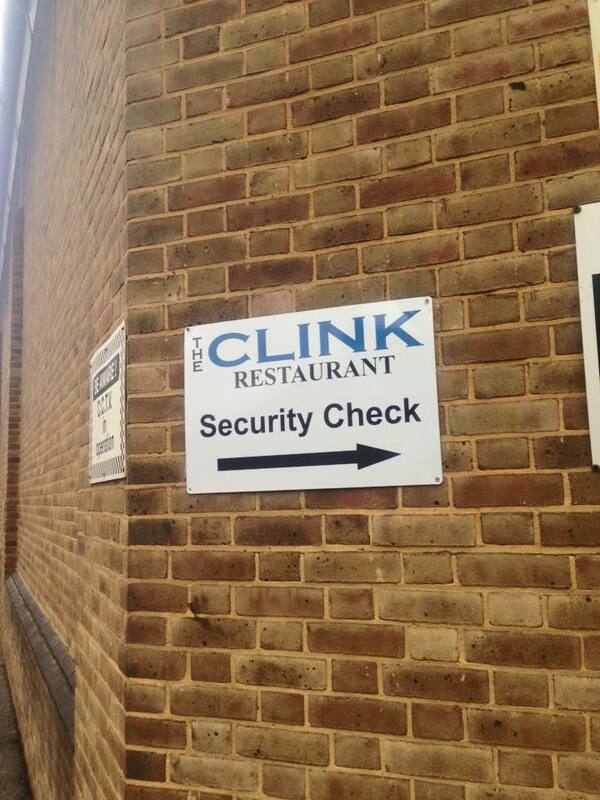 The Clink in Brixton is one of five restaurants in UK prisons that was set up by Alberto Crisci MBE, the then catering manager of the Clink in High Down Surrey, who identified the need for formal training, qualifications and support for prisoners in finding a job after they were released. Ruby Wax and I were a guest of Lady Edwina Grosvenor, who is a founding trustee. We met Edwina because we had met her husband Dan Snow earlier this year when they were both guests on the Mel & Sue show. We were totally blown away by what we saw (and ate). Once we had signed in, handed over all our belongings and been searched (like in an airport), we were escorted through the main prison doors (a big sliding thing - wide enough for vehicles). The restaurant was a short walk through the actual prison - it was strangely eerie and we didn't see any prisoners wondering around - apparently most of them were doing activities at that time. We asked to see an actual cell but sadly that wasn't allowed. You could see the little windows to the cells so we wondered if we were being watched.... There is probably not a speck of grass where you can't stand without being seen on CCTV. The restaurant was unbelievably smart - amazing art on the walls done by prisoners - lots of small tables and a private dining room for more private meetings. The whole experience was so impressive - it is great to know that such a thing exists to help people rebuild their lives for when they are released from prison. And the charity is clearly making a real difference to many people's lives. I hope I can achieve even a tiny bit of what Edwina has done in such a short space of time. The Clink has plans for expansion - I can't recommend it more highly. I am already planning my next visit !